With Letsencrypt supporting Wildcard certificates is really awesome. 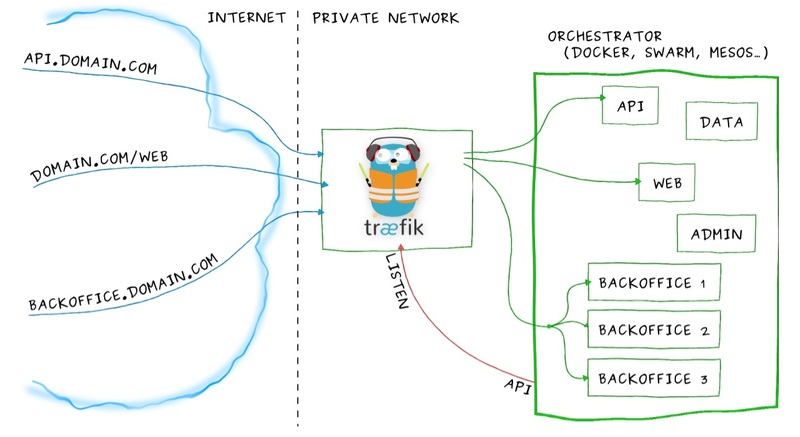 Now, we can setup traefik to listen on 443, acting as a reverse proxy and is doing HTTPS Termination to our Applications thats running in our Swarm. Create the Traefik Service Compose file, we will deploy it in Global Mode, constraint to our Manager Nodes, so that every manager node has a copy of traefik running. Works like a charm! Traefik FTW!